As anticipated, Apple has announced its very own, completely rethought Maps app to replace the long-serving Google offering, and as equally foreseen, it’s got the hallmarks of a truly great new feature. 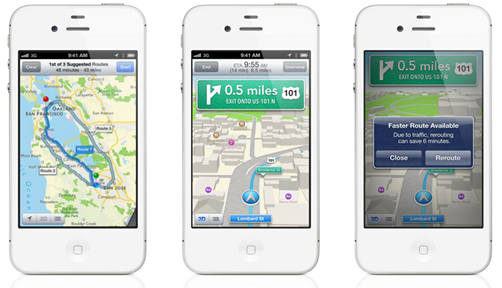 The days of relying on a city’s A-Z are long gone in this digital age, and although it has taken a few more years than Apple would perhaps have liked in order to develop, iOS Maps is now well and truly in the pipeline. The acquisition of C3 Technologies some years ago was one of the key components to the iOS Maps jigsaw, and the 3D mapping prowess offered by the now Cupertino-owned company is one of the fundamental reasons why Apple feels now is the time to offload the omni-present app by arch-rival Google. You can now view large areas in three beautiful dimensions, and by tapping and holding a certain spot, you can drop a pin of interest to you. Of course, 3D mode is not the default, there is a protruding fold in the bottom right corner which can be peeled back whenever you do wish to check out just how good a buy C3 has been for Apple. You can easily then flit between 3D and 2D by tapping a "3D" icon located in the bottom left corner, and there’s also a "locate me" button floating in the bottom, left-hand corner – diagonally opposite to the location we’ve become accustomed to. 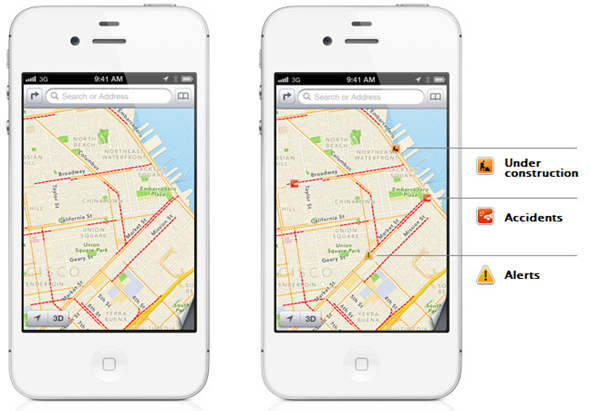 It has built-in Yelp integration so you can find nearby businesses in a few taps. And something which has been missing since the inception of the Maps app, turn-by-turn navigation, it’s there, and it looks great, finally! And to top the whole deal off, it has Siri integration, so you can “talk” to your iOS device for directions and whatnot, keeping in constraints of the Maps’ app limitation obviously. Lastly, it features real-time incident reports, so that you stay up-to-date during your whole journey, pretty awesome no? On the whole, I would have to say Apple has done a fantastic job with the features and presentation of its brand-new Maps app. Of course, the proof of the pudding is in the eating, and we’ll have to wait to try it out for ourselves before we can make a more well-rounded judgment. Still, after the WWDC showcasing, I do believe the new Maps will remain one of the main talking points over the course of the next few months, along with – of course – incessant rumor and speculation regarding the unannounced iPhone that’ll accompany it. 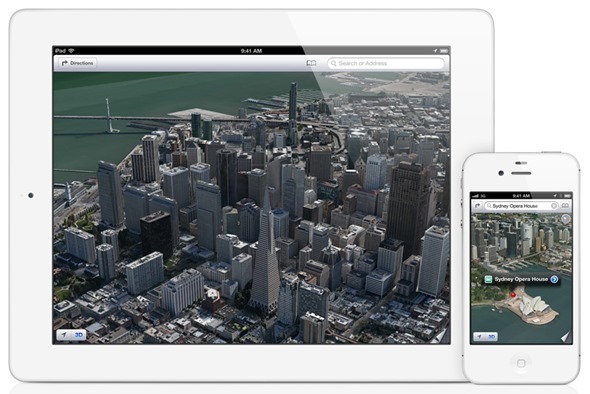 How about you guys; looking forward to the new, Cupertino-crafted Maps app? Or are you on the lookout for other key features of iOS 6? Leave your thoughts via the usual mediums below!